When will be Sweet Stranger and Me next episode air date? Is Sweet Stranger and Me renewed or cancelled? Where to countdown Sweet Stranger and Me air dates? 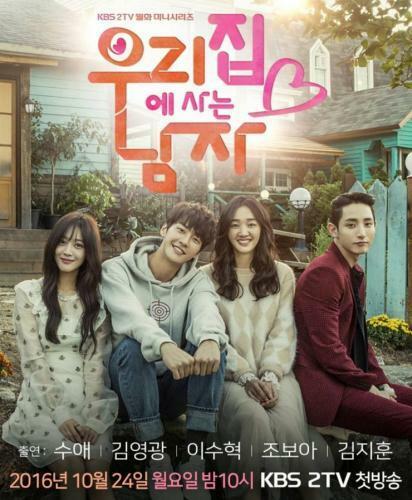 Is Sweet Stranger and Me worth watching? "I want to marry my dad!" A thirty-year-old woman suddenly has a new father who is three years younger than her. She first doesn't trust him much, but as time passes by, she accepts him as a family. This new father is always on her side. He loves her unconditionally. What would happen to them? The whole story is about love in the end. Love wins everything..
Sweet Stranger and Me next episode air date provides TVMaze for you. EpisoDate.com is your TV show guide to Countdown Sweet Stranger and Me Episode Air Dates and to stay in touch with Sweet Stranger and Me next episode Air Date and your others favorite TV Shows. Add the shows you like to a "Watchlist" and let the site take it from there.